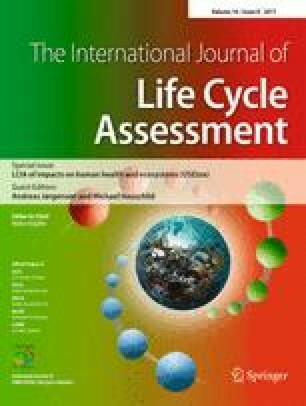 The aim of this paper is to provide science-based consensus and guidance for health effects modelling in comparative assessments based on human exposure and toxicity. This aim is achieved by (a) describing the USEtox™ exposure and toxicity models representing consensus and recommended modelling practice, (b) identifying key mechanisms influencing human exposure and toxicity effects of chemical emissions, (c) extending substance coverage. The methods section of this paper contains a detailed documentation of both the human exposure and toxic effects models of USEtox™, to determine impacts on human health per kilogram substance emitted in different compartments. These are considered as scientific consensus and therefore recommended practice for comparative toxic impact assessment. The framework of the exposure model is described in details including the modelling of each exposure pathway considered (i.e. inhalation through air, ingestion through (a) drinking water, (b) agricultural produce, (c) meat and milk, and (d) fish). The calculation of human health effect factors for cancer and non-cancer effects via ingestion and inhalation exposure respectively is described. This section also includes discussions regarding parameterisation and estimation of input data needed, including route-to-route and acute-to-chronic extrapolations. For most chemicals in USEtox™, inhalation, above-ground agricultural produce, and fish are the important exposure pathways with key driving factors being the compartment and place of emission, partitioning, degradation, bioaccumulation and bioconcentration, and dietary habits of the population. For inhalation, the population density is the key factor driving the intake, thus the importance to differentiate emissions in urban areas, except for very persistent and mobile chemicals that are taken in by the global population independently from their place of emission. The analysis of carcinogenic potency (TD50) when volatile chemicals are administrated to rats and mice by both inhalation and an oral route suggests that results by one route can reasonably be used to represent another route. However, we first identify and mark as interim chemicals for which observed tumours are directly related to a given exposure route (e.g. for nasal or lung, or gastrointestinal cancers) or for which absorbed fraction by inhalation and by oral route differ greatly. A documentation of the human exposure and toxicity models of USEtox™ is provided, and key factors driving the human health characterisation factor are identified. Approaches are proposed to derive human toxic effect factors and expand the number of chemicals in USEtox™, primarily by extrapolating from an oral route to exposure in air (and optionally acute-to-chronic). Some exposure pathways (e.g. indoor inhalation, pesticide residues, dermal exposure) will be included in a later stage. USEtox™ is applicable in various comparative toxicity impact assessments and not limited to LCA. The online version of this article (doi: 10.1007/s11367-011-0316-4) contains supplementary material, which is available to authorized users. Most of the work for this project was carried out on a voluntary basis and financed by in-kind contributions from the authors’ home institutions which are therefore gratefully acknowledged. The work was performed under the auspices of the UNEP-SETAC Life Cycle Initiative which also provided logistic and financial support and facilitated stakeholder consultations. The financial support for the USEtox™ consortium from ACC (American Chemical Council) and ICMM (International Council on Mining and Metals) is also gratefully acknowledged.